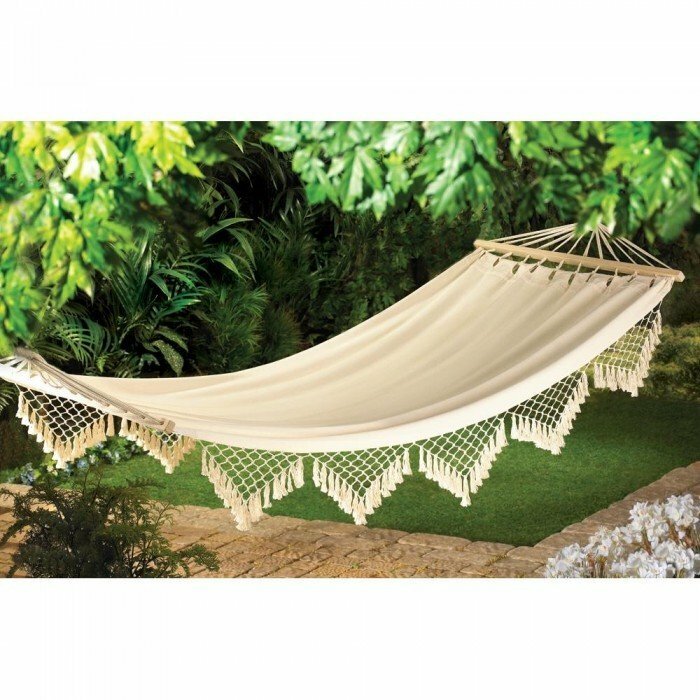 CAPE COD CANVAS HAMMOCK by Summerfield Terrace home decor, jewelry, decor, decorations, electronics, fountains, floor mats, art glass, vases, garden essentials, fireplace screens. Dreaming of the seaside? Let our comfy canvas hammock take you away! Recline in comfort in your favorite shady spot; such a lovely and luxurious way to enjoy a lazy outdoor afternoon. Maximum weight limit: 264 lbs. Material(s): COTTON METAL WOOD - SCHIMA. Weight 5 pounds. Dimensions 47.2" x 106" x 0".